We're sorry, reservation times are not available online for a party of this size on the selected day. Please call us at 800-716-2788 and we will see if we can accommodate your party. Beginning May 1, we require that all members of your party are 21 and over. Thank you for your understanding. For parties greater than 5, please contact us at 800-716-2788 for assistance with your reservation. Please be sure to include your Guest Type (required by Domaine Carneros Tours). Newsletter: By selecting any of the following options, you agree to receive communications from Domaine Carneros Tours. We do not share your information with any 3rd parties. You can withdraw your consent at any time. Reservations that are not canceled 24 hours prior to the day and time of the reservation will be charged a $60.00 fee per person. Stay personally connected to Domaine Carneros Tours with your free preferences profile. 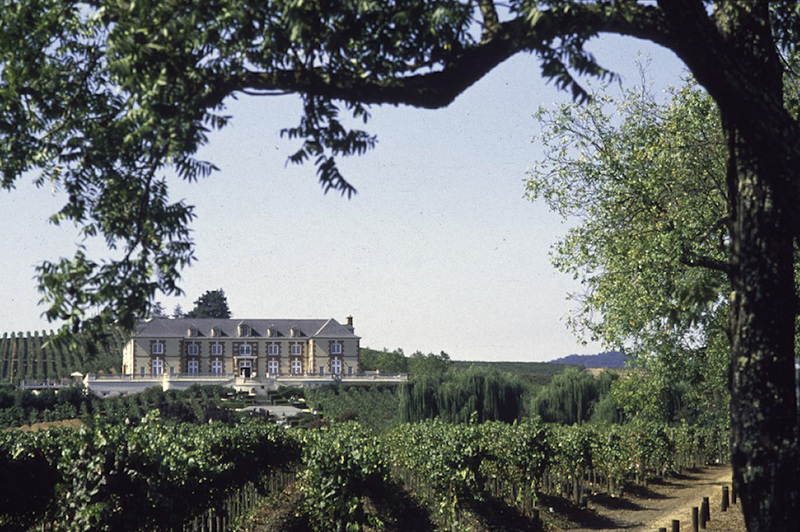 You'll have convenient access to Domaine Carneros Tours's news, promos and special events! And Domaine Carneros Tours can get to know you better with automated communication. Available for daytime events, nighttime events. Join us for a behind-the-scenes look at the magic of methode champenoise sparkling winemaking with an intimate group of like-minded friends. 11am, 1pm and 3pm | $50 per person plus tax. Please allow 90 minutes for the tour and tasting. Seasonal/weather adjustments may apply. For reservations within 24 hours, requests for parties of 8 or more people, or for Chateau Society members, please call 707.257.0101 ext 161. This signature journey begins in our estate vineyard and continues with a tour of the winemaking, bottling, riddling/aging and disgorging areas in our chateau. Enjoy a tasting of our classic sparkling wines along the way and a seated tasting of our red wine selection at the conclusion. Handicapped parking is available in our upper parking lot. 1240 Duhig Road,Napa, CA 94559. Domaine Carneros is accessed via Duhig Road, just off the Carneros Highway (12/121) four miles from the town of Napa and five miles from the town of Sonoma. The chateau is 50 miles from San Francisco's Golden Gate.